The nice folks at LitPick, a site dedicated to YA books and YA readers, interviewed me. I can't remember if I posted this before, but their website also has an amazing review of Drift up. It's extra-humbling-awesome to me that this review was written by a teen. To my surprise and delight, more than once I've had someone e-mail me and ask why on earth my short fiction wasn't available to buy as an e-book. I've been writing short fiction long enough now that I had a nice collection of stories whose rights had reverted back to me. Today, it's available on Amazon (more formats forthcoming). 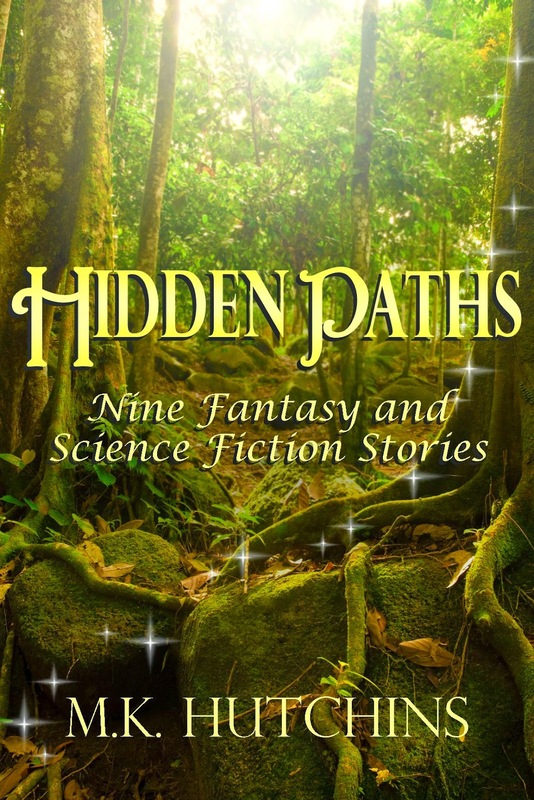 Book Description: Nine fantastical tales of fantasy and science fiction from M.K. Hutchins. Delve in forbidden jungles, travel across flesh-eating oceans, and chow down on some cryonic sushi. Originally appearing in Orson Scott Card's InterGalactic Medicine Show, Daily Science fiction, and elsewhere, these stories are collected here for the first time. Included is this collection is the novelette "The Temple's Posthole", which won an IGMS Reader's Choice award and was placed on the Tangent Online Recommended Reading List. Much thanks to those who wrote me and nudging me toward putting this together!